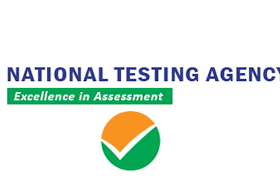 JEE Main Result 2019: The National Testing Agency has released the results of Joint Entrance Examination (JEE Main) on Saturday, January 19 and this time, there are 15 aspirants who scored 100 percentile scorers. This year, around 15 candidates have scored perfect 100 percentile of which four are from Telangana, three are from Maharashtra, two from Uttar Pradesh. 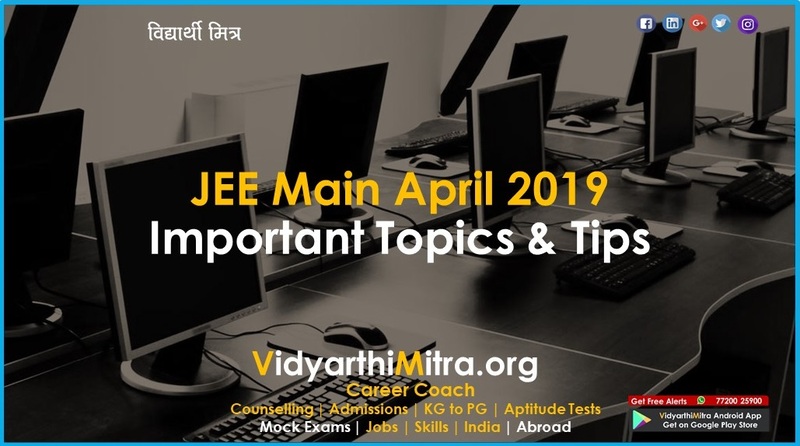 Those who have not qualified this time, they have another chance in April to re-appear for the JEE Main exam. The application forms will be released in February. In the previous years, CBSE was the exam authority, however, NTA will be conducting JEE Main twice in a year. The students who had appeared in the examination can check the results through the official website jeemain.nic.in. Candidate’s particulars including Category and Person with Disability (PwD) have been indicated as mentioned by the candidate in the online application form. 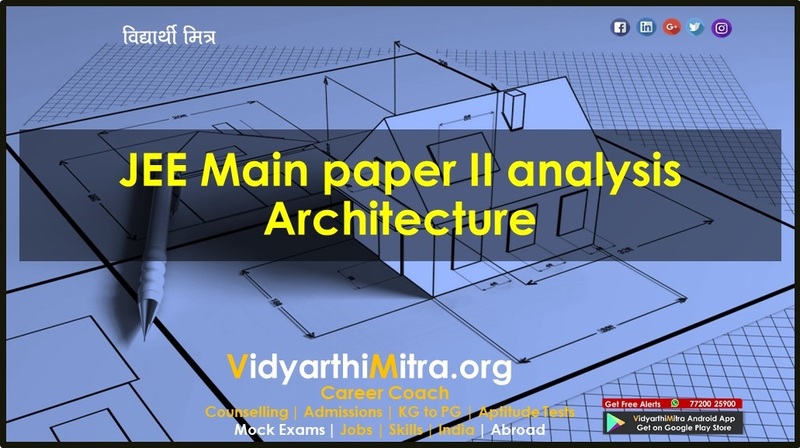 NTA Score for Paper-II (B.Arch. &B. Planning) will be declared later on. The Examination was conducted completely in CBT mode for the first time. For the first time, the candidates have the choice to appear in one/ two examinations for admission. In order to make the examination system transparent, the Question Paper and recorded responses were displayed in the website for the verification by examinees. To ensure accuracy and transparency of result, the keys of question papers were displayed in advance to invite challenges by the candidates. For the first time in nationwide competitive examinations, live CCTV Surveillance was carried out. Jammers were installed at the examination centres to prevent unfair practice by the candidates during the examination through mobile or any other electronic device. 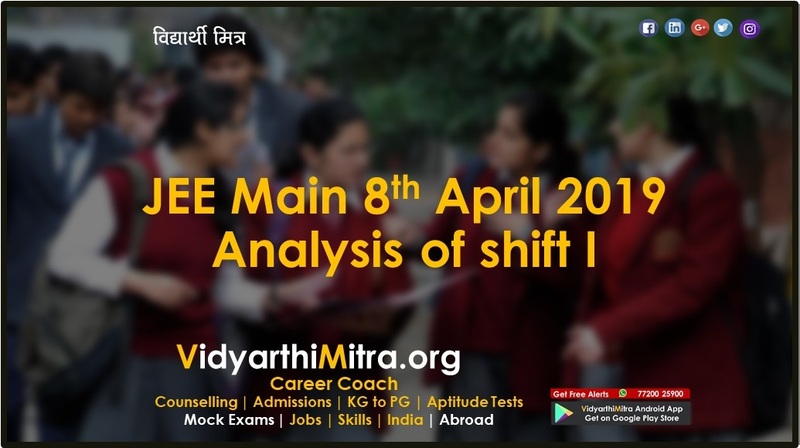 The next online application for JEE (Main) April-2019 Examination shall start from 8th February and shall remain open till 7th March 2019. The uploading of images and payment of the application fee will be upto 8th March-2019. 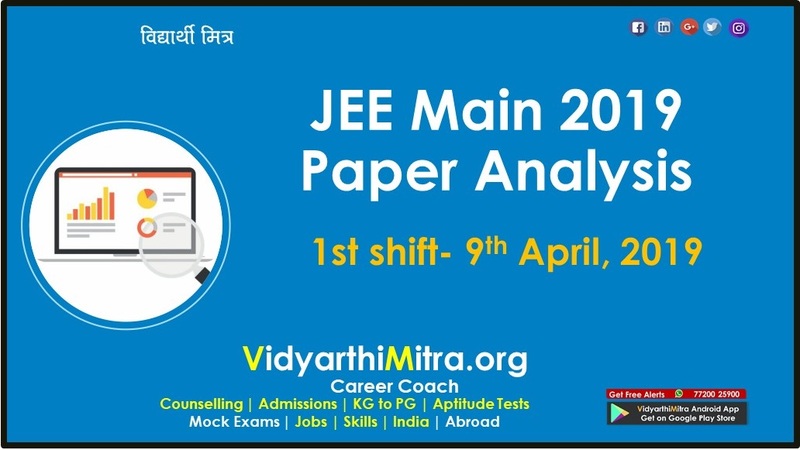 The JEE (Main) April 2019 Examination will be conducted in CBT mode between 6th and 20th April, 2019.